The trick to long-lasting blooms in your perennial flower garden is plant choices, timing, and care. 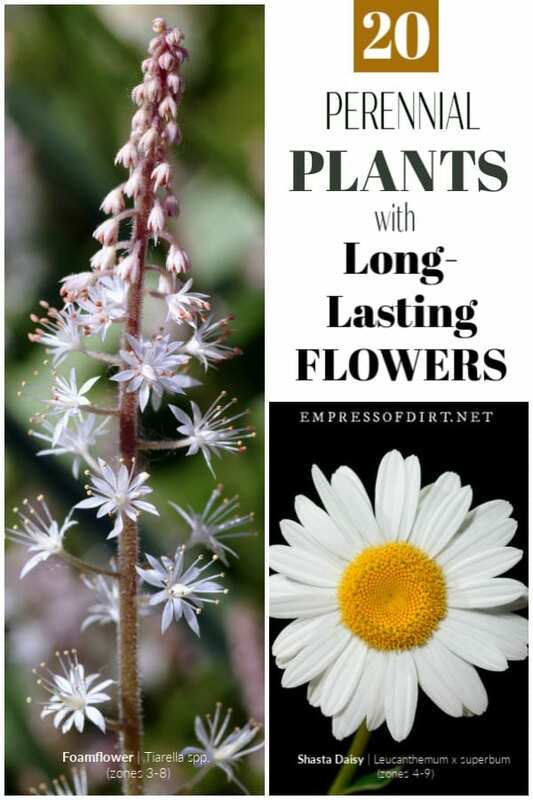 I will show you tips for continuous blooms from early spring until fall. 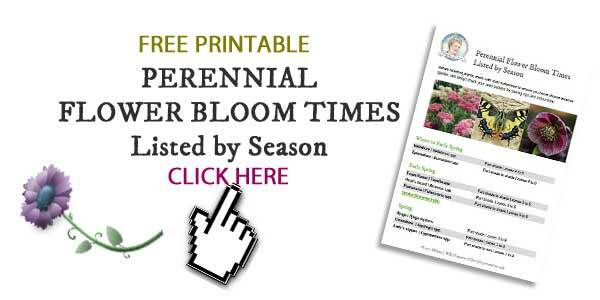 Also see Perennial Bloom Times for a printable seasonal calendar of plant flower times. If you love a garden with a continuous show of flowers from spring to autumn, this is for you. We know annuals are the answer to long-lasting single season blooms, but how can we get the most out of our flowering perennials? With average blooming times of just a few weeks, it’s time to bust out the tricks and keep this flower show going! First, here’s a walk through everything to consider for maximum flowers. 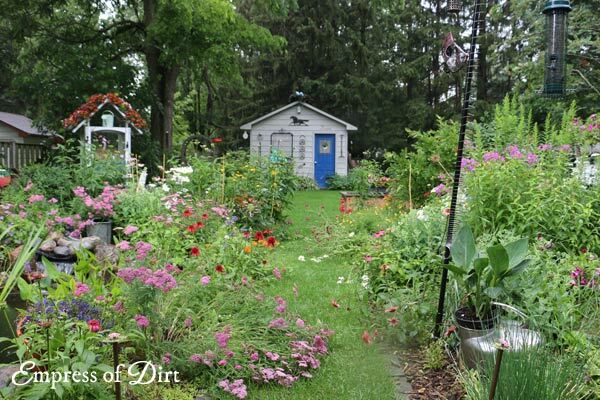 When the goal is continuous perennial blooms, plant choices and care can have a big impact. 1. Always choose plants that are appropriate for your specific growing zone and conditions. Beware of plants known to be invasive in your area and avoid tender or tropical plants that require excessive care. 2. Learn the expected blooming times for each plant you choose. This will vary not only with each species but different cultivars as well. Clematis vines are a good example of this. Some flower on new growth in spring, others bloom on older growth in summer or autumn. 3. Don’t be fooled by garden nursery blooming times. The plants may be suitable for your garden, but the blooming times may be off because the plant was raised in greenhouse conditions. It may take a year of adaptation for the plant to acclimatize to your growing conditions. Also, blooms may drop after planting if the transition from the greenhouse to your garden is too drastic. If you’ve chosen a suitable plant, give it time to adapt. 4. Pay attention to how long the plant should bloom. Many flowering perennials put on a brilliant but brief show in just a few weeks from start to finish. Others can bloom for one, two, or three months continually. The long-lasting bloomers are your ticket to continuous flowers. 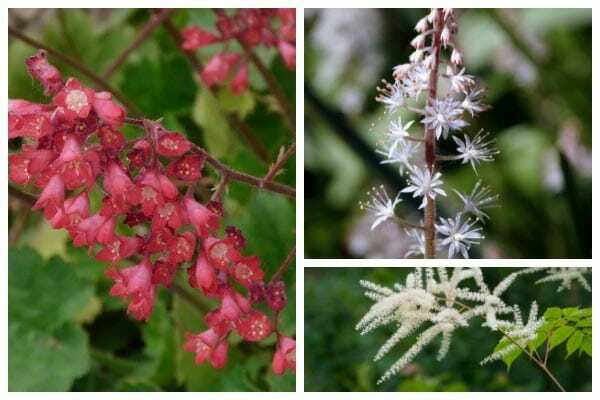 Find flowering plants that start in each season and combine them throughout your garden, making sure the growing conditions (light, water, soil, space) are right. These tips will work with many flowering annuals and perennials, not just the long bloomers. 5. Be a faithful dead header. Plants flower with the goal to produce seeds. If you are vigilant about removing old flower heads as soon as they start to wilt and before seeds can form, many plants will re-flower in the same season, providing a whole new show. The second show of flowers may not be as full and strong as the first, but it is often the key to having color in the garden right up until first frost. 6. Cut back old flowers to encourage second blooms. On plants like delphiniums, those tall blooms may last a few weeks and then start to fade. You can cut the flower stalks right down to a node to encourage a second set of blooms. This allows the plant to put energy into more flowers instead of transitioning to seed pods. But always leave some for seed saving and the winter birds. 7. Protect flowering plants. Wild summer thunder storms and winds can destroy a flower garden. I stake my tall plants and offer wind breaks for others. If you know a particularly brutal storm is on the way, consider moving potted plants to sheltered locations. Here’s a list of seed companies in Canada and the United States. These perennials have longer than usual flower cycles. Keep in mind that their flowers will start blooming at different times in the growing season (check the tags). I have listed plant hardiness zones, but these can vary with each cultivar within a species so please check before you buy. Coreopsis | Coreopsis x (zones 5-9) – Moonbeam is my fave! 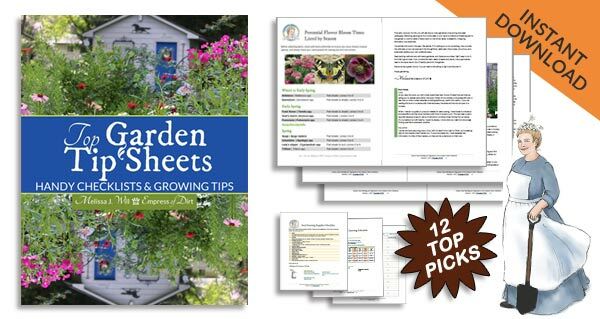 Want a free list of popular perennials by bloom times? You can save or print it. To maximize perennial flowers in your garden, consider adding longer-lasting flowering plants throughout your growing space. Consider the bloom start time of each plant (there’s a list sorted by bloom time here), so you know when and where the flowers will appear. Deadheading (removal of dying flower heads) can facilitate new blooms. Removal of dying flower stems allows the plant to put its energy into new ones. Always leaves some flowers to go to seed for the winter birds and encourage self-seeding.